At a secret location, that I still don’t know as I walked with friends, somewhere in Angel, lies The Old Hat Club. 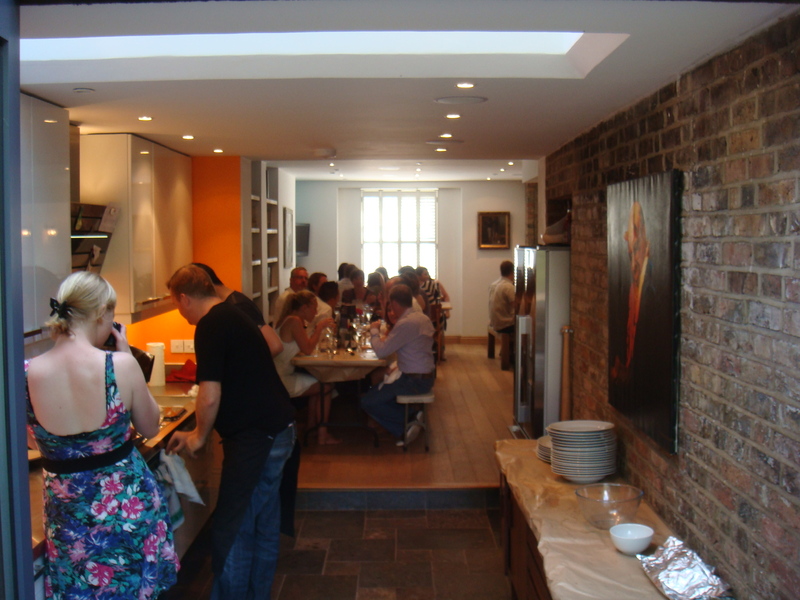 Set in a beautiful Victorian terrace, this is a great venue for a Supper Club. When we arrived we were directed through the open plan dining area to the kitchen and out to a lush garden area. 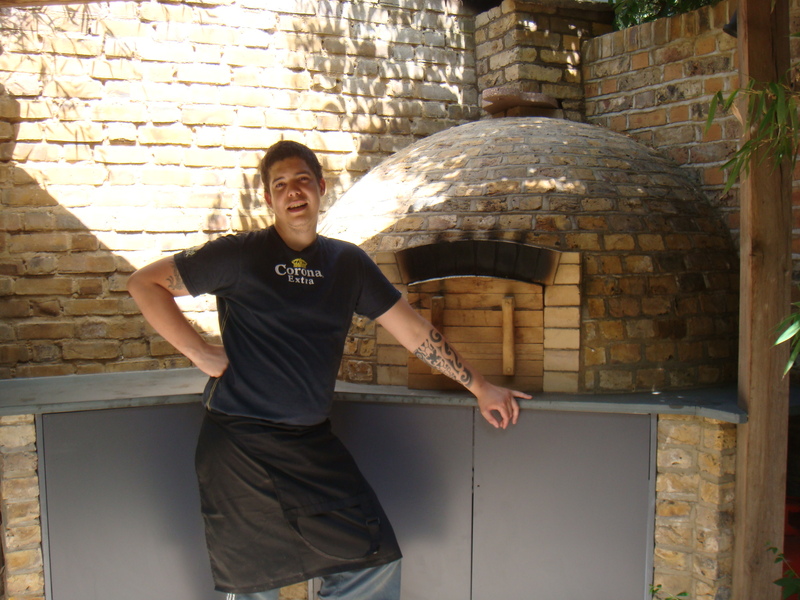 I headed to the back to find the brick oven fired up and read to go! 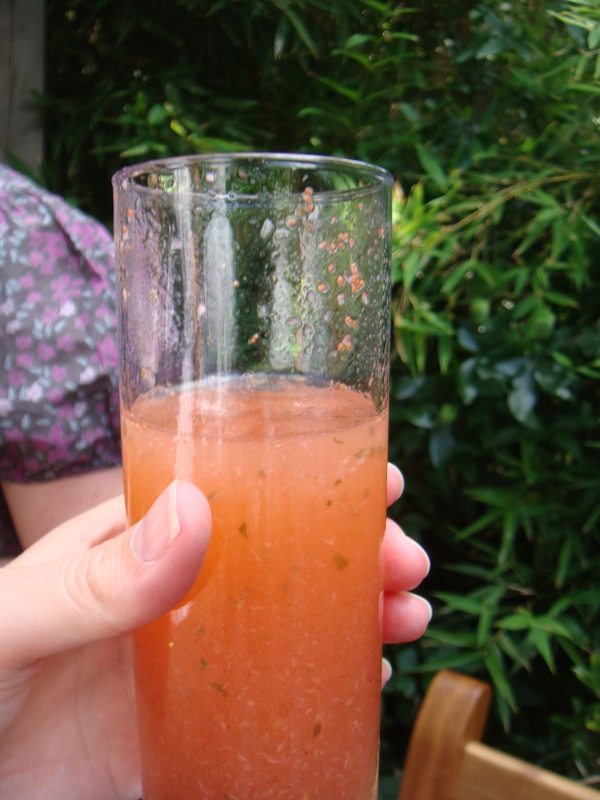 Sorry for the picture of the prosecco cocktail, half drunk with bits of strawberry stuck to the sides, but it was a hot day I and I was thirsty! It was deliciously refreshing with a pepper kick too! 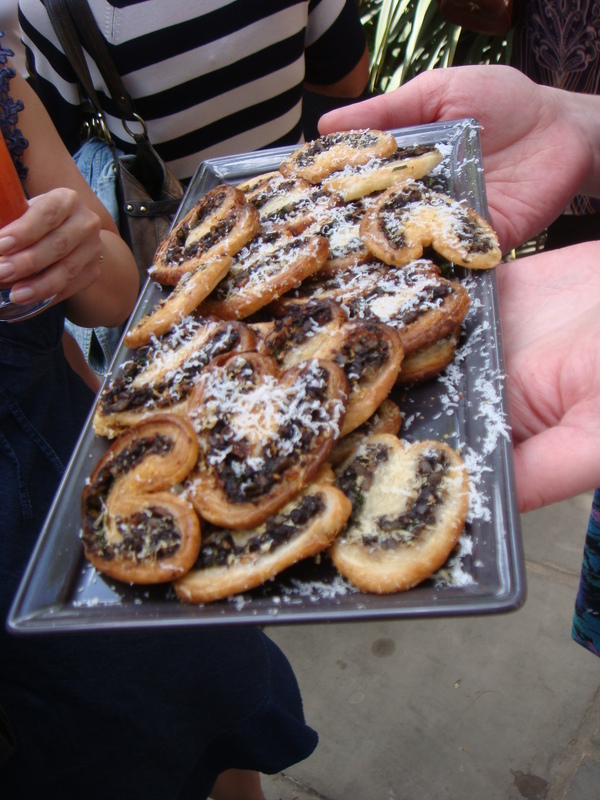 The first canape to come was a palmier-like pastry of morcilla topped with finely grated Parmesan. Absolutely delicious!! A taste of what was to come. 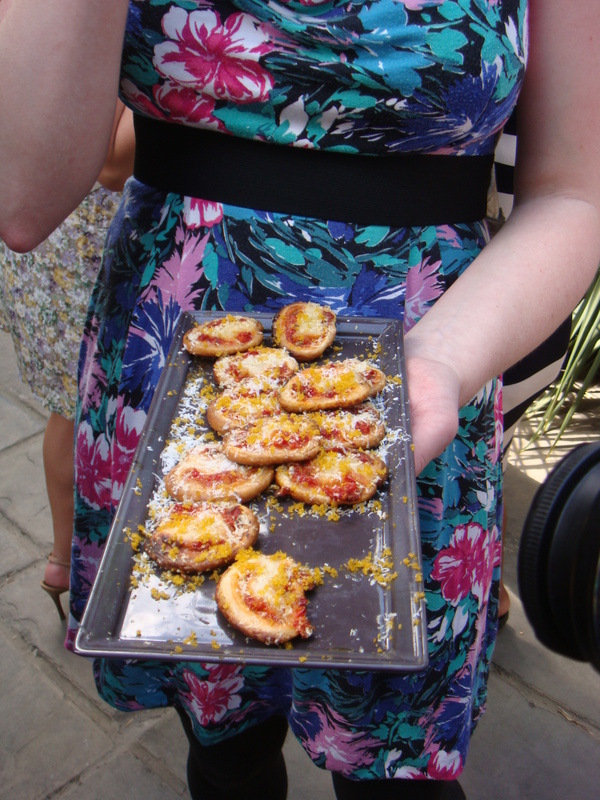 By the time I caught wind there were more canapes, most of them had been snaffled. The red pepper pastry swirls with bottarga grated over the top were also delicious but didn’t have the pull of those little morcilla bites. I managed to snap a pic of our Cornish sardines, the first course, before the door was quickly shut. I love the delicate smokey flavours these things impart into your food. 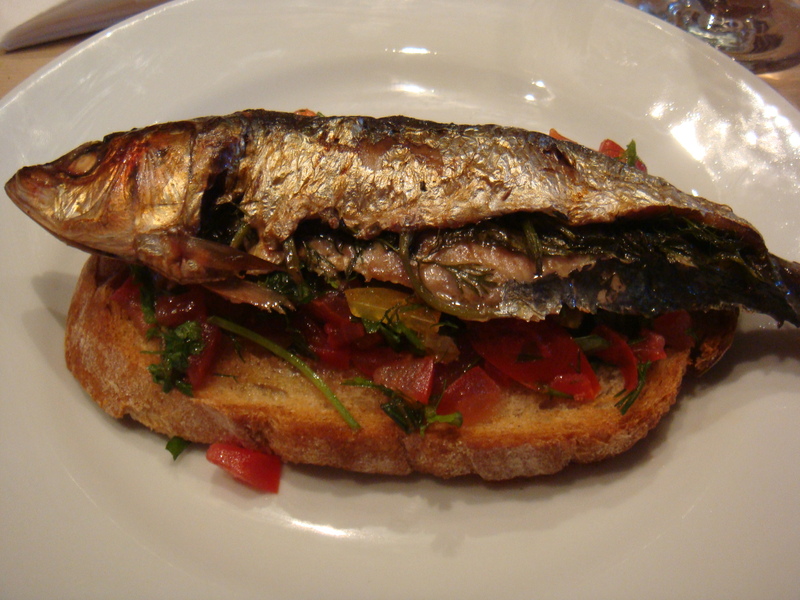 Sardines (or as the Cornish call then, Scrowlers) stuffed with herbs, on a tomato bruchetta. 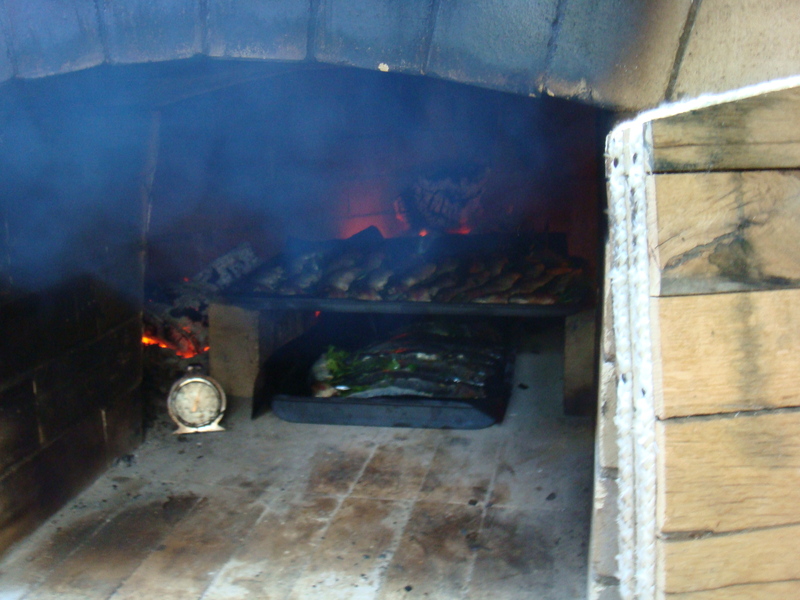 The sardines, straight from the brick oven were fresh, packed with fennel and dill, perfectly cooked and delicious on the crisp bruchetta. A great starter. How good does that pork belly look!!! 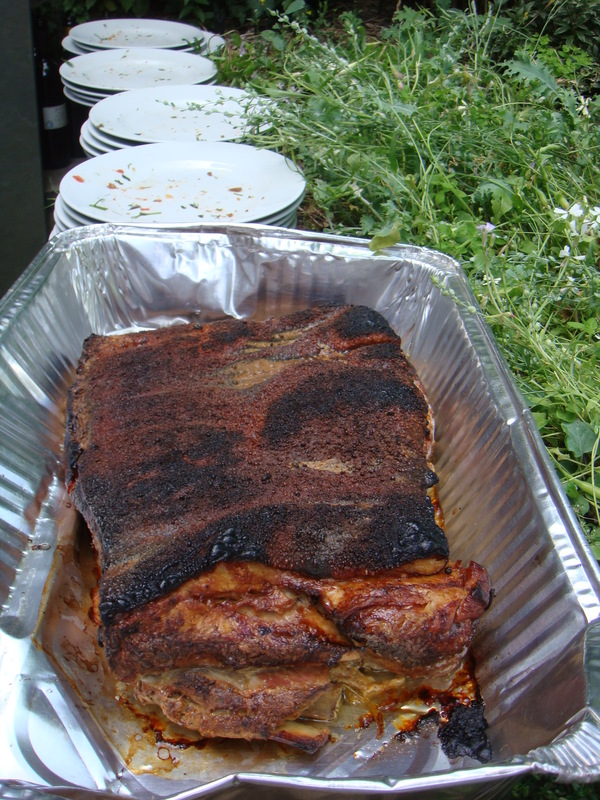 It has been poached in milk and then finished in a super hot oven to get a crispy crispy crackling. This dish was the highlight for me. 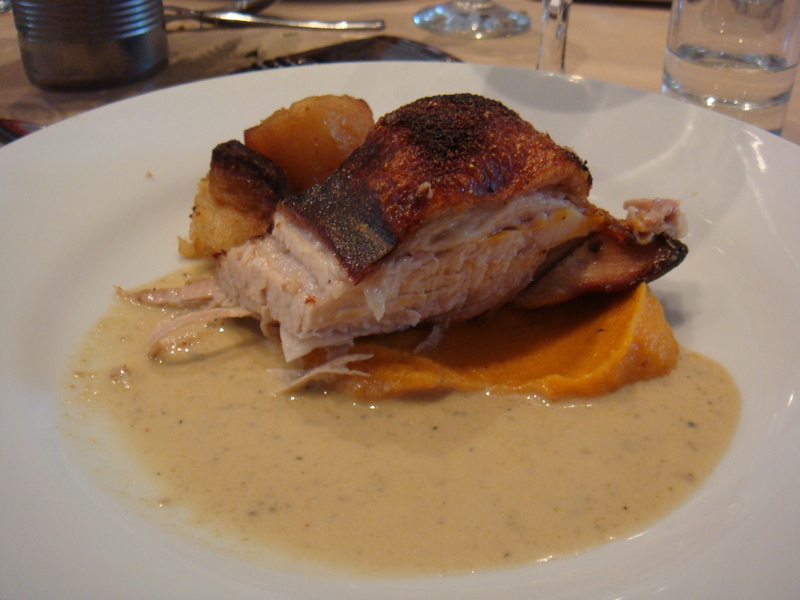 The pork was so tender and succulent, the butternut puree (which had been slow cooked in the brick oven for 24hrs) was smooth and sweet. The goose fat potatoes were super crispy, the milk and tarragon sauce was the pork poaching liquid, delicious. I am not a fan of cracking (I hear shrieks of horror) but it was a bit too chewy for me. 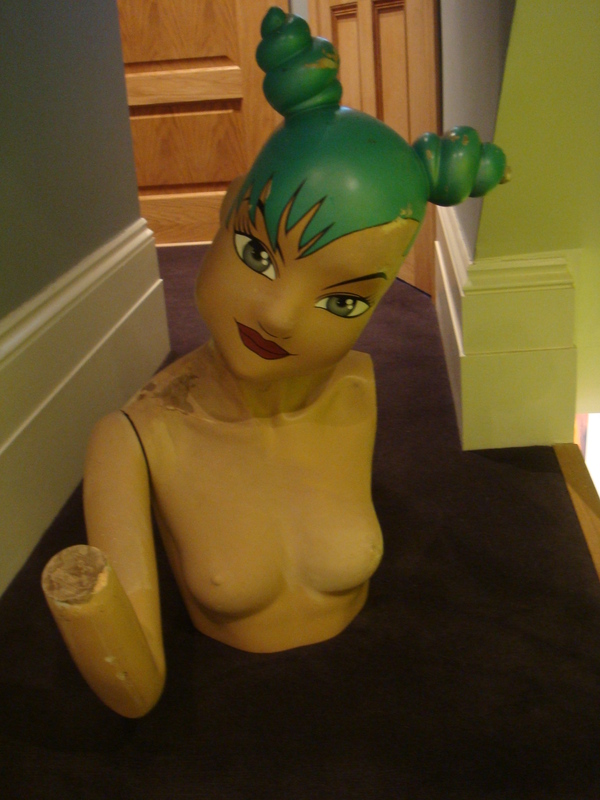 Although it was quickly snaffled up by a cracking lover. Throughout the meal we were provided prosecco from Riccardo Prosecco. Surprisingly, I thought they complemented the dishes quite well. I tried my first still prosecco and I thought it had a lovely clean, fresh pear taste. Riccardo Tomadin presented each different prosecco to us explaining the aroma and tastes to expect along with information about the land the grapes were cultivated on. How interesting to think of prosecco in a new light, not as just an aperitif but as a drink to accompany your meal. Moroccan Citrus Tart with frozen yoghurt, a lovely finish to the meal. 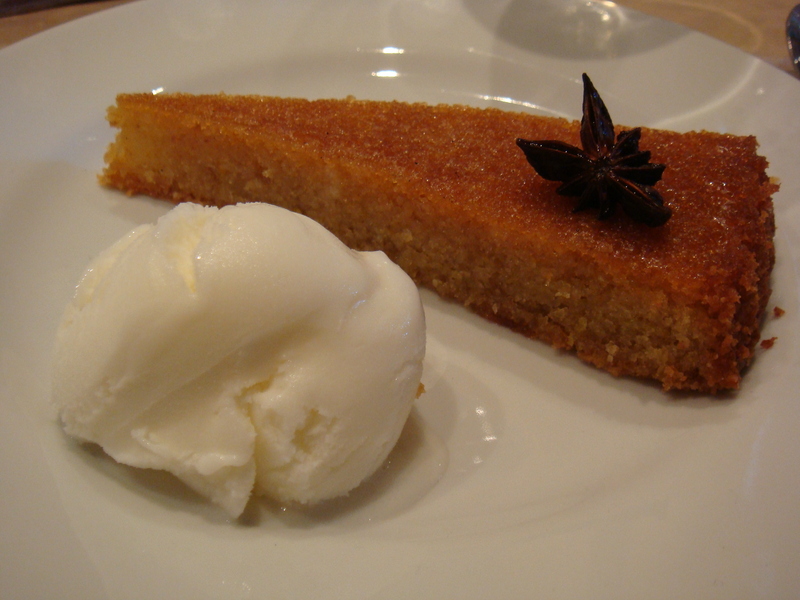 The star anise and cinnamon spices gently added interest to the almond tart. I thought the frozen yoghurt was a nice change from creme fraiche or vanilla ice-cream. 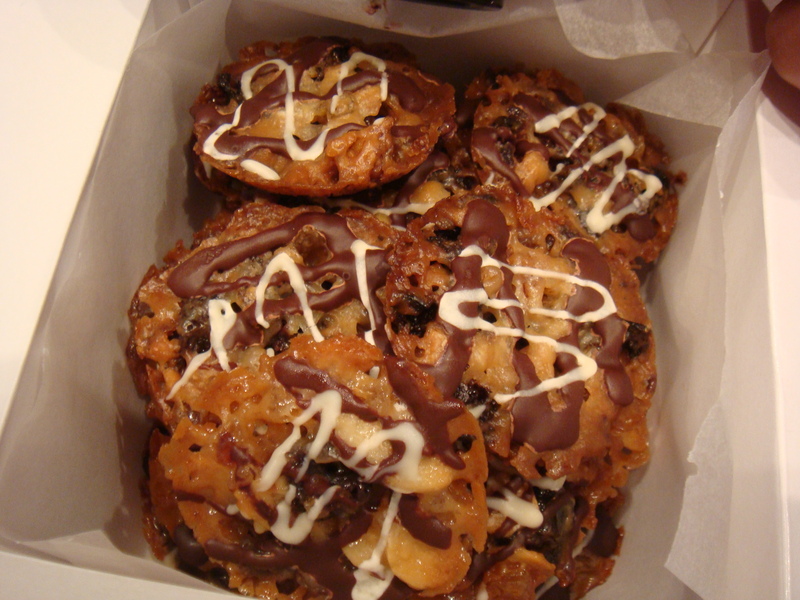 A box of Florentines were presented to our table. They looked pretty and were gone in a flash. I have to say the ginger was a bit overpowering, and I could only manage one. This is one polished Supper Club! considering it was their second Sunday event. The food was well presented and thought out. 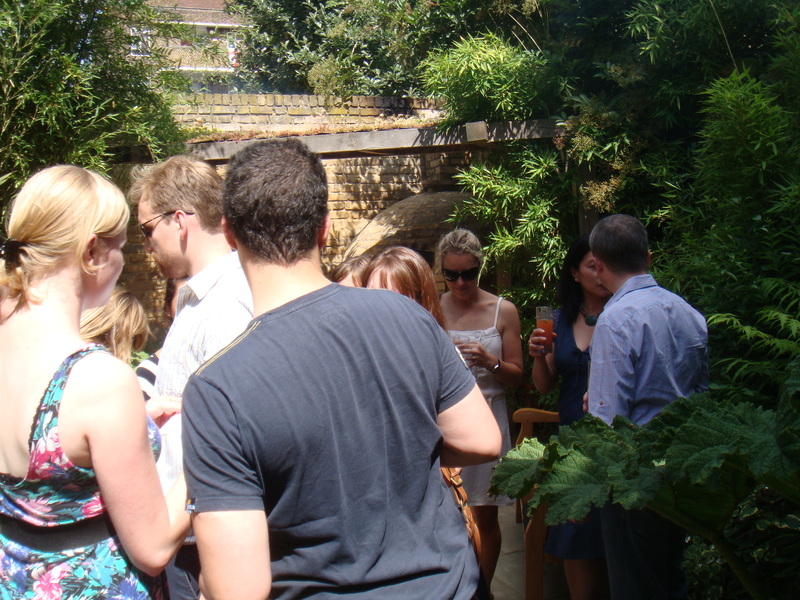 It has the added summer advantage of a lush garden and outdoor space for guests to mingle with an aperitif. The people behind the club are four friends who were inspired after visiting Fernandez and Leluu! They open for Sunday lunch once a month, for a respectable £30. Well done guys! 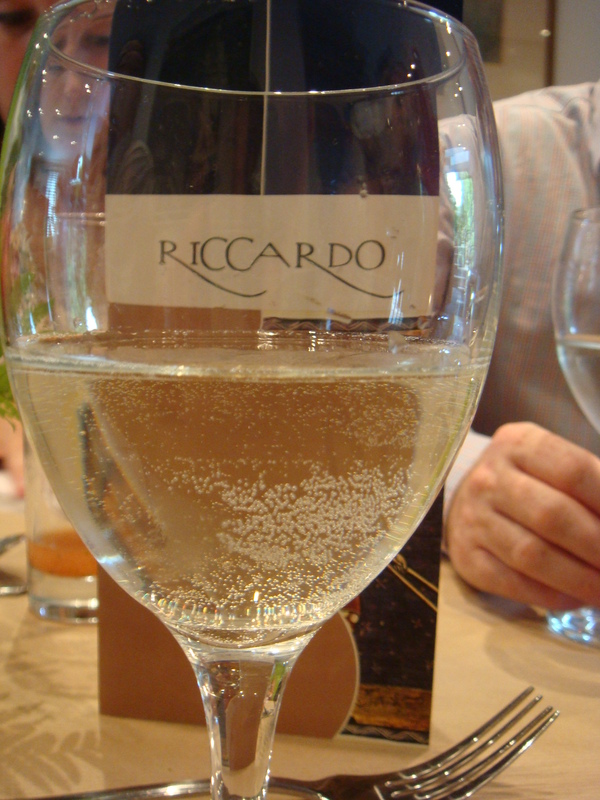 Thank you to Riccardo Prosecco who sponsored our Sunday lunch and provided the prosecco.